I just found out about it today, so I will try to catch up quickly. My word is “evolution”. This was a year of change, from having a job I didn’t imagine I’d have the year before, to losing that job, then moving to a new home and moving the kids to new schools. It has all worked out for the best, but it was a bumpy ride at times. A word for 2011 is “hope”. The water is pretty clean, and the waves are those double rollers that I like. You can climb on top of the first one, ride it half-way in and the second one will come in over top of it and lift you back up. On a boogie board, you ride on your belly, and it’s like sledding, but there’s not that sting like the cold air of January or the prickles of snow that fly in your face. It’s just refreshing, and the water is splashing all around as you bounce up and over, dodging the legs of the people standing between you and the tide’s edge. The water drips down my forehead and into my eyes, I can hear myself giggling like a giddy schoolgirl just under the whoosh of the waves crashing around me. I keep going until there’s nothing beneath me but sand and broken shells, pick up my board and head back out. I wouldn’t say that cultivating a sense of wonder is something I do often enough. You always hope to introduce your kids to new things, keep them learning and exploring, but it doesn’t always work out the way you want it to. A few weeks ago, Manfrengensen and I decided to take the kids into the state park near our home for the first time. We are city folk, so we aren’t really what I would call acclimated to the outdoors, if you know what I mean. We decided to take off on one of the trails around 4 p.m. on Saturday, and we followed it down, down, down into the ravine and close to the river’s bank. The whole time, (or at least the times between the moments when we were trying to stifle the bickering about whose turn it was to be in the front of our line on the trail) I was trying to point out “nature” things to them, “Hey look, that tree fell down…there’s a squirrel…look at all the different color leaves, etc,” but they weren’t really biting because of the leader argument. When we got to the bottom of the trail, we noticed it was really starting to get dark. We’d never been in the park before, and because we are city people, it didn’t occur to us to bring a flashlight…or a map…or our cell phones. As we trudged along in the waning light I began to imagine headlines like “Family of 5 found eight days later…” or “mauled by cougars” etc. By the time Manfrengensen found a promising trail that appeared to have some kind of rise to it, we could barely see anything beyond the length of our own arms. We climbed out of the ravine along a treacherous, rocky path punctuated by tree roots and sticks. Clooney must have fallen to his knees five times. 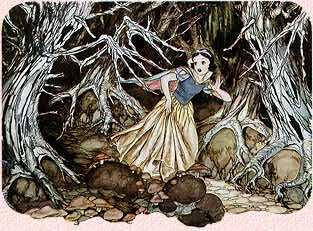 I held on to the Princess’s hand lest she disappear into the darkness. Just off the path, in the dark beyond where I could see, from time to time I would hear movement, rustling in the leaves. Was that a squirrel? A raccoon? Cougar? The kids had stopped complaining about who was the leader and instead joined forces to complain about tired feet, being thirsty, feeling tired, wanting to sit down, who had the water bottle and just about everything else they could think of to complain about. But I think they will end up like me. I consider “roughing it” to be something like a 3 star hotel. Three things actually. First, I let go of a job I enjoyed. It was difficult to let go, but I know I am better off. I still have to let go of some of the anger I have for one person who was involved in the whole ordeal, but I am working on that. Second, I let go of the house we lived in for the last six years. The house where the Princess was born, with the yard where the kids ran under the sprinklers every summer. I did love that house. It was a good one. Most importantly, I have decided to let go of the Mean Girls. 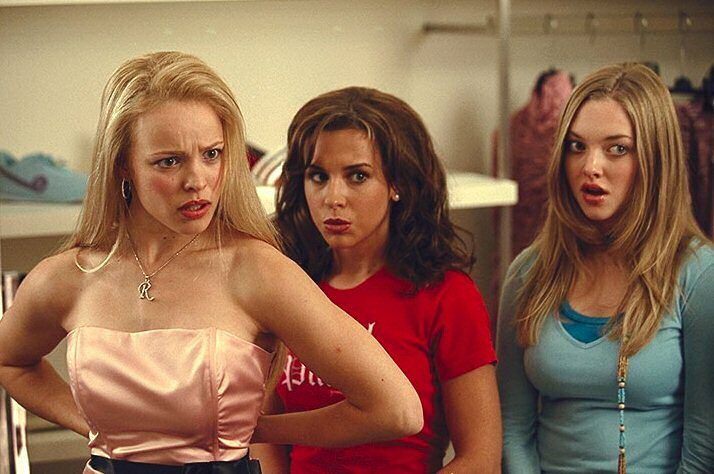 Sometimes I have played the Lindsey Lohan character in my group of lady friends, and I have realized that I don’t really like those mean girls. I want to be everyone’s friend, and I have no malice toward anyone. I won’t be hanging out with the mean girls in the future. The last thing I made was a big pot of meatballs for dinner. This is the Princess’s favorite meal, and making them always reminds me of my paternal grandmother, who taught me how to make them. She used to make them every week (Mondays?) and we would come home from school to a house that smelled like her tomato sauce. 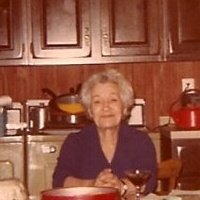 She used to save me one or two meatballs, which were still raw when I got home, and she would fry them up in a pan for me like patties. I still keep one or two out to taste like that after the rest are cooking in the sauce. It always reminds me of her, the time she walked me through the process of making them on the phone while I was at Purdue, and how much I still miss her. So there, I am all caught up. I hope to be able to keep up in the coming weeks. Feel free to join in at the site above. Yay! I’m glad you’re doing this with me!